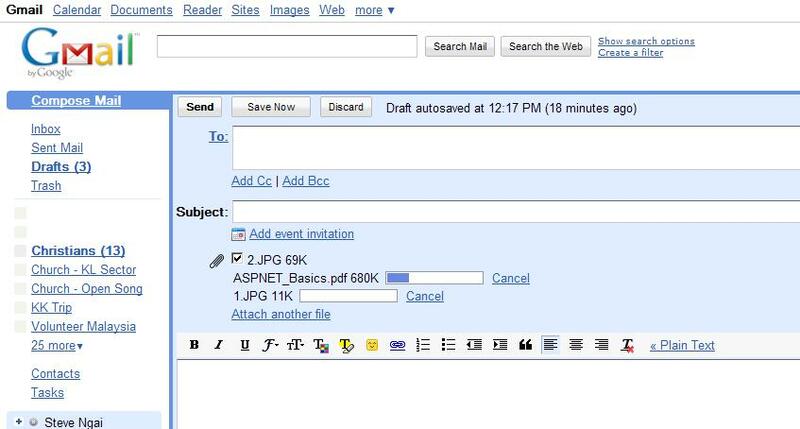 I just realize that I can attach multiple attachments from Gmail. To do so, you just need to hold down the Ctrl key and select as many files you want to attach. That’s it. This entry was posted in Information Technology (General) and tagged Gmail. Bookmark the permalink. ← Want your laptop to load faster?